This 75 unit building is phase 1 of a 2 phase, 150 unit development. 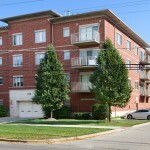 Located in Morton Grove Illinois and nestled in an area renowned for comfortable multi-family living. 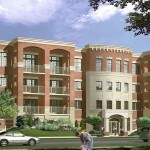 Trafalgar Square offers a wide variety of designer choices for the quality conscious home buyer.